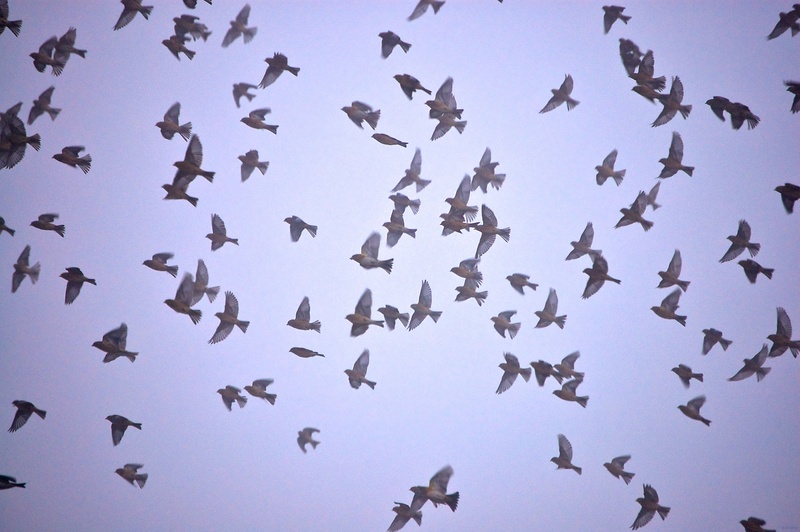 On a cold and misty January morning, I watched for about thirty minutes as a charm of finches (yes, that really is the collective term) wheeled, dived, and soared over a field of winter wheat. The light was poor so I had to bump the ISO up, but I kept still long enough for them to get quite close. I kept looking at this image – it reminded me of something, I was quite sure. It finally came to me today – all I needed was some movement and I had the avian equivalent of the old flying toaster screensaver from the 1980’s.